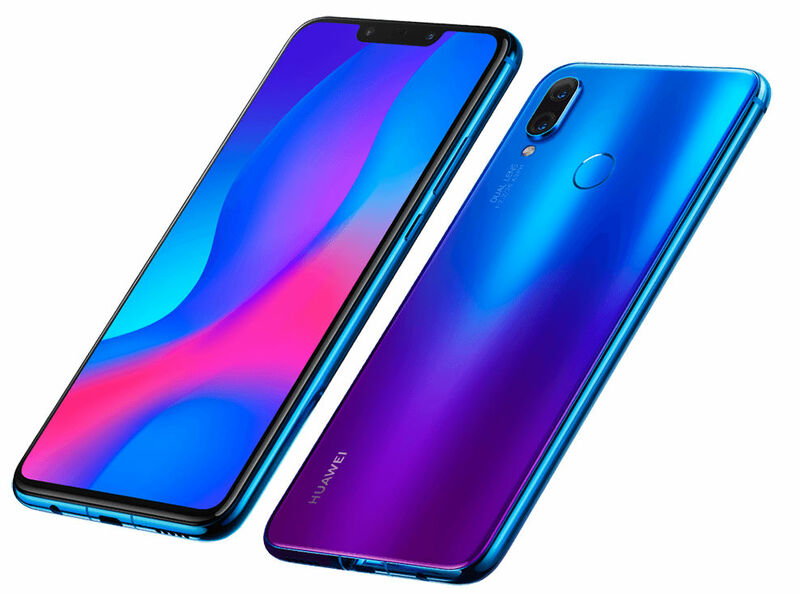 Huawei has officially announced the Nova 3i smartphone in India, it is a mid-budget smartphone comes with a 6.3-inch large FHD+ 19:5:9 Notch display, 4GB RAM, Kirin 710 SoC with support for GPU Turbo, Dual rear as well as front camera and a rear fingerprint sensor. 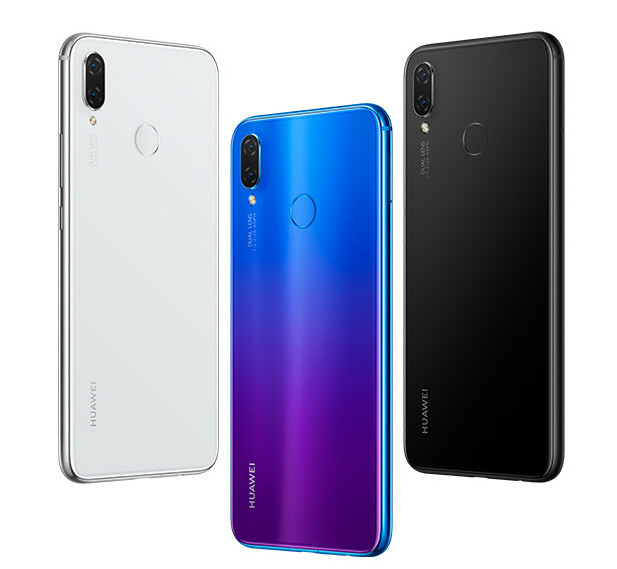 Huawei Nova 3i price in India has been set at Rs. 20,990 for the 4GB RAM with 128GB storage model. It will be available exclusively from Amazon.in starting from August 7th, with pre-ordering starting from today at 2 PM. 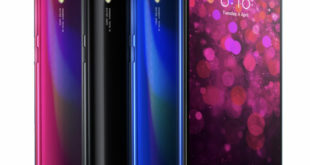 The Huawei Nova 3i features a 6.3-inch 2.5D curved glass display with FHD+ (2340 x 1080 pixels) resolution, 19:5:9 aspect ratio, 85% NTSC Color Gamut, and a notch. 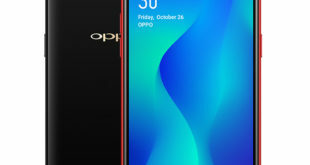 The device is powered by the Snapdragon 710 10nm Mobile Platform (Dual 2.2GHz Kryo 360 + Hexa 1.7GHz Kryo 360 CPUs) with ARM Mali-G51 MP4 GPU, paired with 4GB RAM + 128GB storage, which can be further expandable via microSD up to 256GB. 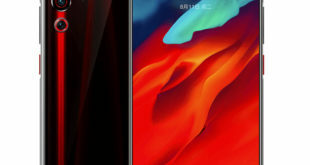 On the camera front, the Nova 3i flaunts a dual rear and front camera: a 24-megapixel front camera with f/2.0 aperture and a 2-megapixel secondary camera, but this has a 16-megapixel rear camera AI scene recognition along with a 2-megapixel secondary rear camera for portrait shots. 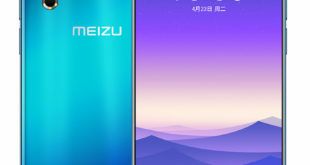 It also mentions the rear fingerprint sensor as well as Face Unlocking. The handset runs Android 8.1 Oreo with EMUI 8.2 out of the box, 3D Qmoji, which is similar to Apple’s Animoji. It packs a slightly smaller 3340mAh battery and Hybrid Dual SIM. For connectivity, the Nova 3i includes 4G VoLTE, Wi-Fi 802.11 ac, 2×2 MIMO, Bluetooth 4.2 LE, GPS, GLONASS, and USB Type-C. The device measures 157.6×75.2×7.6mm, and weighs 169 grams.